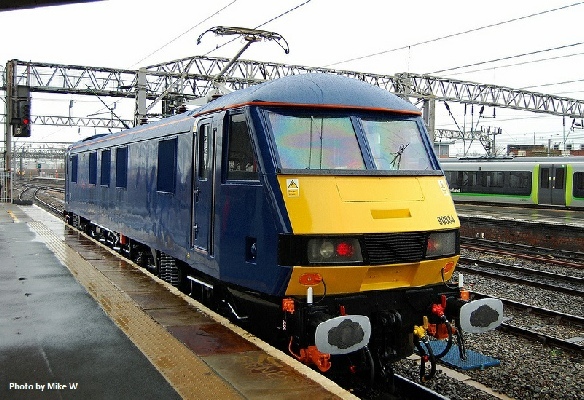 This loco started her career in late the 1980s on the West Coast for the then Intercity and latterly Virgin Trains. As new 90008 went Hamburg in a convoy of other loco’s which were all participating in IVA88. It is worth noting that she is the only class 90 to have been abroad. This loco has also been applied with two different nameplates during her career. 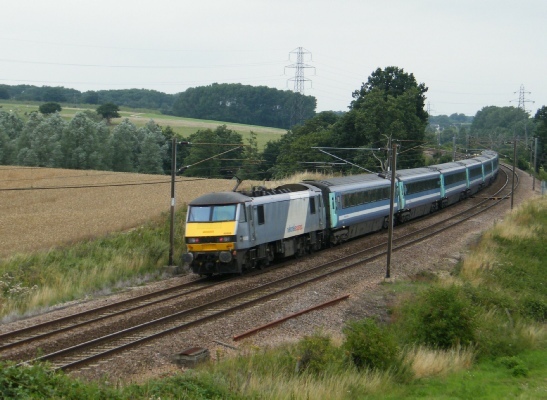 In 2012, this engine works passenger services between London and Norwich on MK3 carriages in TDM mode with DVTs for Greater Anglia and is leased from Portorbrook. 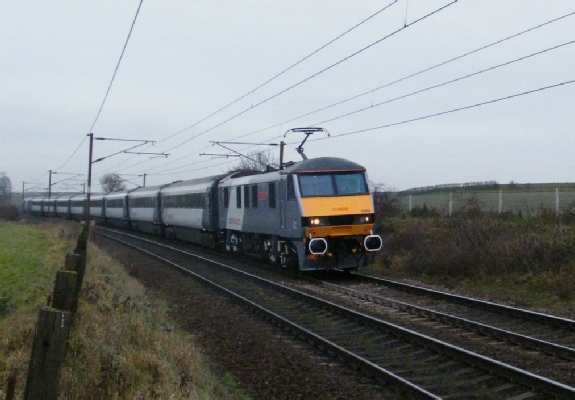 On a dull wet afternoon and on the day of her naming ceremony, 90008 has been captured speeding past Lancaster’s Crossing near Stowmarket with the 12:30 departure from Norwich to London Liv Street. 90008 has been photographed at London Liv Street after arriving with the 21:00 departure from Norwich. The 90 is in her former Virgin Trains livery albeit unbranded and a on rake of Anglia Railways MK2’s. This is a 2nd shot of 90008 standing at Liverpool Lime Street with her last ever service train on the WCML. The train in question was the 15:45 departure bound for London Euston. This is a shot of 90008 taken at London Liv Street shortly after the loco was named “The East Anglian”. She now awaits departure with the 10:00 service to Norwich and stands on platform 10. In cloudy conditions, 90008 can be seen passing Brantham on the down line near Manningtree with the 16:30 departure off London Liverpool Street bound for Norwich (1p44). 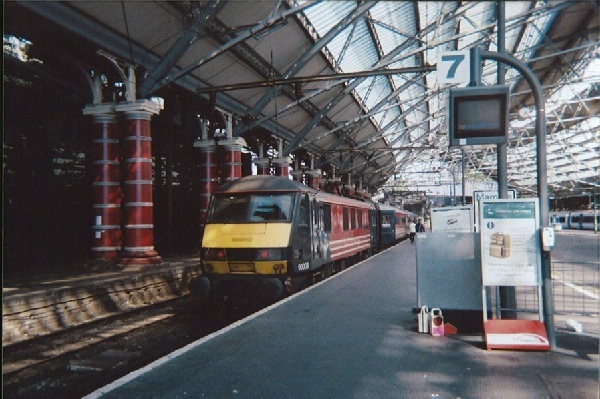 This is a shot of 90008 standing at Liverpool Lime Street with her last ever service train on the West Coast Main Line. When the 90 got to London she was officially off-lease and transferred soon afterwards to East Anglia.